Agriculture produce means all produce (whether processed or not) of agriculture, horticulture, animal husbandry, pisciculture and forests as specified in the schedule.The The APMCs were established by the State Govt. 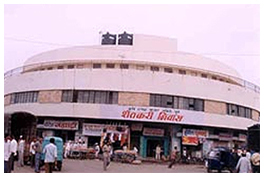 for regulating the marketing of different kinds of agriculture and pisciculture produce for the same market area or any part thereof.The Maharashtra Agricultural Produce Marketing (Development & Regulation) Act was passed in the year 1963, with a view to regulate the marketing of agricultural and pisciculture produce in market areas. After giving due consideration to various committee's recommendations and study groups, some important changes have been made in this Act in the year 1987 and thereafter. Agriculturists residing in the market area and being 21 years of age on the date specified from time to time by the Collector in this behalf. Traders and commission agents holding license to operate in the market area. 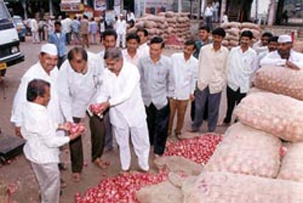 Chairman of the co-operative society doing business of processing and marketing of agriculture produce in the market area. Chairman of the Panchayat Samiti within the jurisdiction in which the market area is situated, President or Sarpanch of the local authority within the juridiction of which the principal market is situated. Deputy Registrar of Co-operative Society of the district, the Assistant Cotton Extn. Officer or where there is no such officer the district Agriculture Officer of the Department of Agriculture. It shall be the duty of the Market Commitee to implement the provisions of the Maharashtra Agricultural Produce Marketing (Regulation) Act 1963, the rules and bye-laws made there under in the market area to provide such facilities for marketing of agricultural produce therein as the Director may from time to time, direct do such other acts as may be required in relation to the superintendence, direction and control of markets or for relating marketing of agricultural produce in any place in the market area and for purpose connected with the matters aforesaid, and for that purpose may exercise such powers and perform such duties and discharge such functions as may be provided by or under this Act. The Act provides for establishment of Market Committees in the State. These Market Committees are engaged in development of market yards for the benefit of agriculturists and the buyers. Various agricultural produce commodities are regulated under the Act. At present there are 307 APMCs with main markets and 597 sub markets.